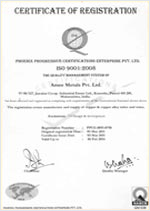 AMEE METALS PVT LTD was founded in the year 1983. The company commenced production as a well-known manufacturer and exporter in the field of copper tubes, brass tubes, copper tube fittings, seamless copper tube and wide range of copper alloy tube. Our factory is situated in Jawahar Industrial Estate Ltd, Kamothe Panvel. The plant area is approximately 18000 sq.ft. with all modern machinery and equipment. We have 15 skilled & experienced staff and a labour strength of 70 workmen. We have the latest melting, continuous casting plant, annealing facilities and draw benches, along with stringent Quality Control systems to produce copper and copper alloy tubes, rods and wires which more than meet National and International Standards. We offer materials confirming to IS, ASTM, BS, DIN, JIS, or to your specification and standards. 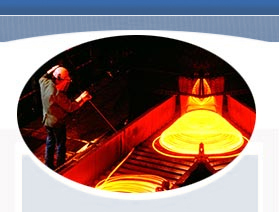 We offer a wide range of copper products, copper alloy tube, copper cu tube and copper alloys. Our range of products includes brass & copper tubes, brass & copper wire, brass rod. We also offer Copper -Zinc alloys to all National as well as International Standards quality specifications. The products are engineered using copper and brass having highest purity. Our products copper tube, copper nickel tube are in-compliance to the several Indian & international standards. We produce products in standard & customized specifications. The products are available in various specifications of diameter, thickness, cross section etc. Our product's fabrication techniques imparts requisite properties such as excellent surface finish, dimensionally accuracy and error free results. We offer wide range of copper and its compound as well as brass products in various dimensional, materials and quality standards specifications laid down for various industries. In addition, we fulfill our client's specific requirements through customized production. We engineer our range of copper products exactly as per the specifications provided by our clients. Amee Metals Pvt. Ltd. commits to manufacture and supply Copper and Copper Alloy Tubes that meet customer requirements, through achievement of the quality Objectives. We ensure that all applicable elements, of ISO 9001:2008 QMS requirements are understood, implemented and maintained in our organization. We comply with the applicable statutory and regulatory requirements. We review and strive to continually improve the effectiveness of our Quality Management System. We are ISO 9001:2008 certified company and We are committed to supply superior quality copper and brass components to our clients. The various production stages are subjected to stringent quality control norms. Our consistent quality and impressive services to customers help us to get a vast customer base in global markets. We offer least lead time for urgent or bulk consignments. In addition, we supply products within the mutually agreed time period. Such business characteristics put us at a stronghold in the international marketplace.